Well somebody had to make one didn’t they? 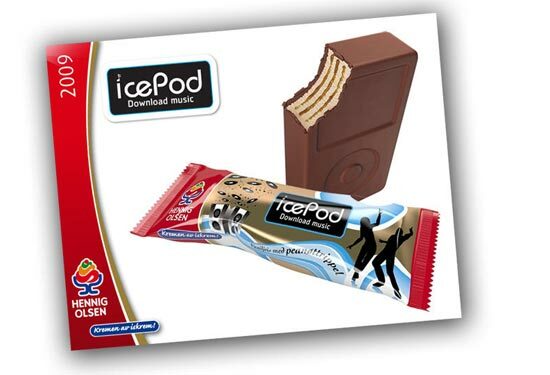 Here was have the very first ice cream shaped like an iPod, called the icePod. This fun iPod themed ice cream is the work of Norwegian ice cream makers Hennig Olsen, as you can see from the photo it is shaped exactly like an Apple iPod. I wonder what Apple will have to say about this, and I wonder whats next from this ice cream make, iPhone shaped ice cream called icePhone?